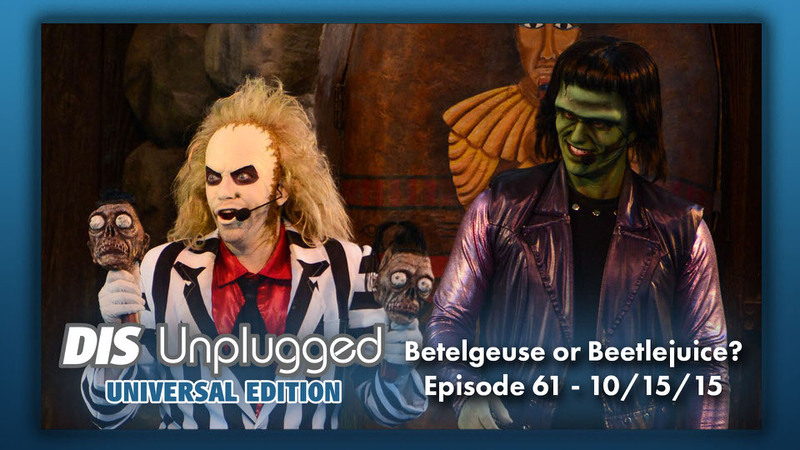 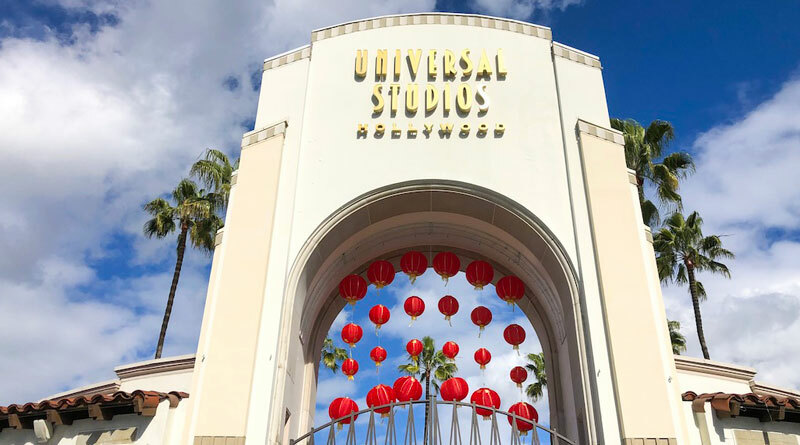 Universal Studios Hollywood, also known as the Entertainment Capital of L.A., is celebrating the Year of the Pig with uniquely themed shows and photo opportunities with well known characters of popular movies from DreamWorks’ and Illumination Entertainment. 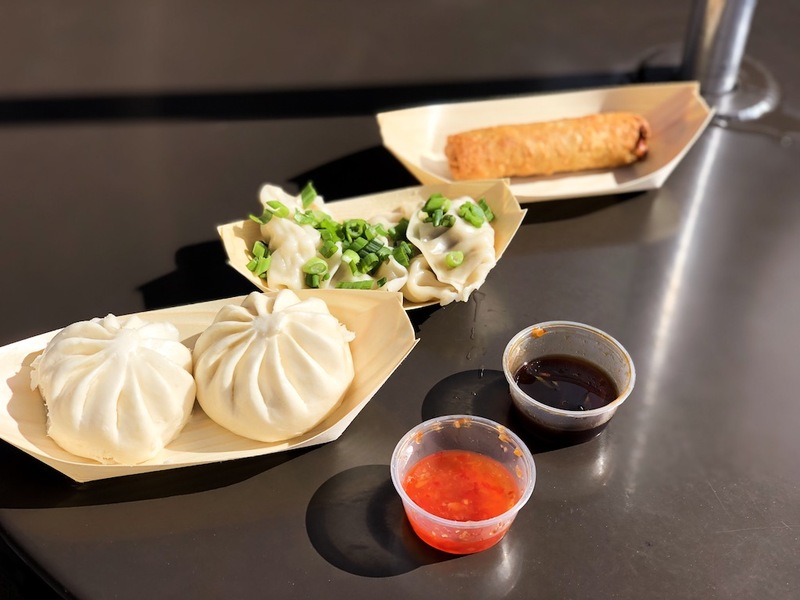 This Lunar New Year celebration will take place now through Monday, February 18, 2019. 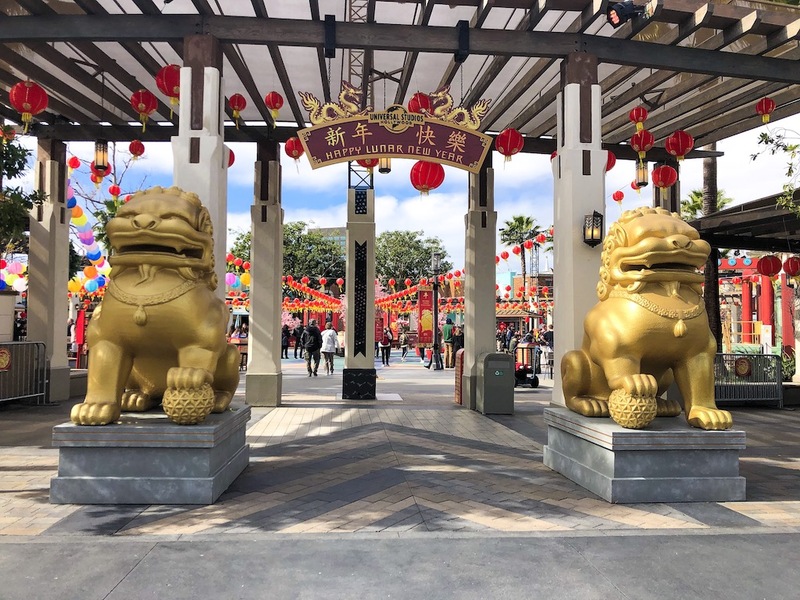 The Lunar New Year celebration is located in Universal Plaza, the heart of the theme park. 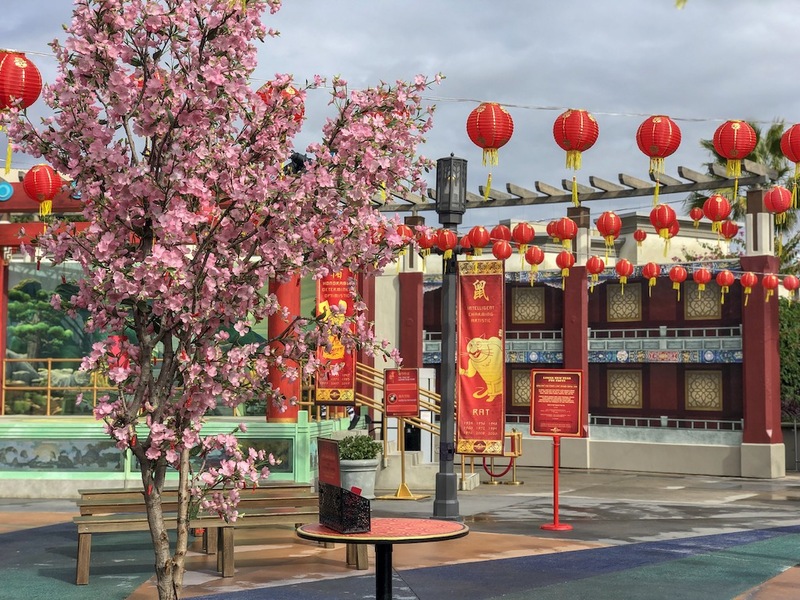 As guests enter Universal Plaza they will be transported to a beautiful garden of plum blossom wishing trees with red Chinese lanterns hanging above. 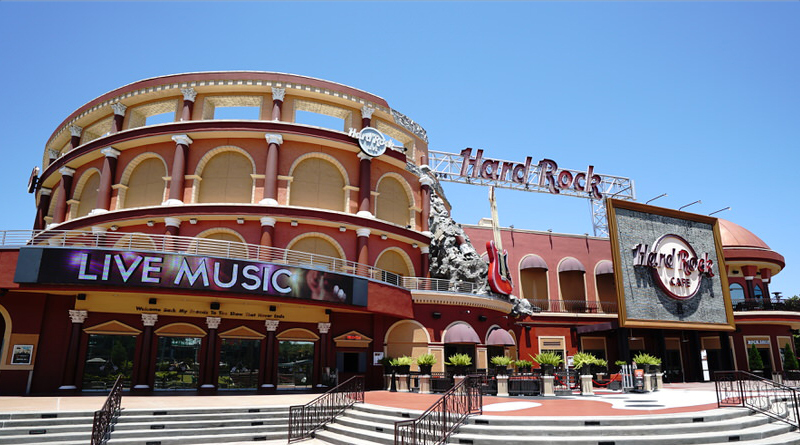 Stunning red and gold banners of the 12 zodiac animal signs line the outer area of the plaza. 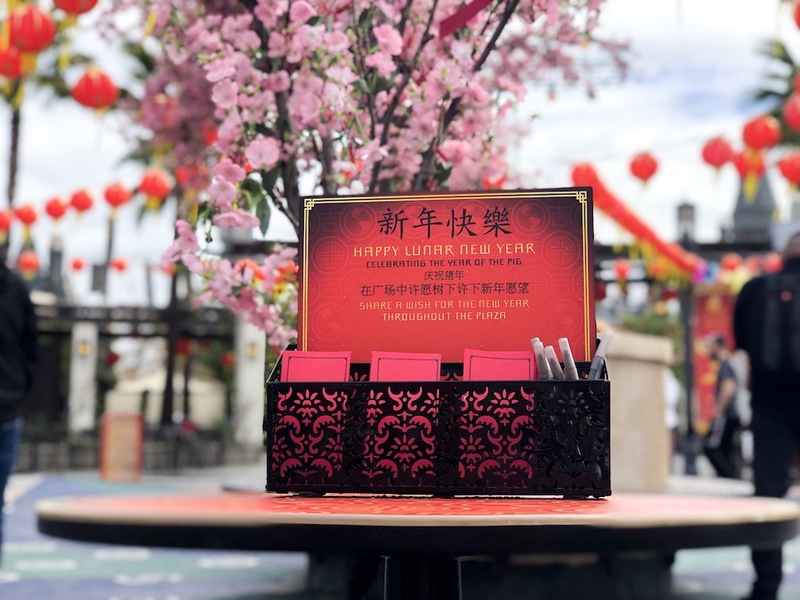 Tables with red paper and pens are situated around for guests to write their wish and share it on the wishing tree. 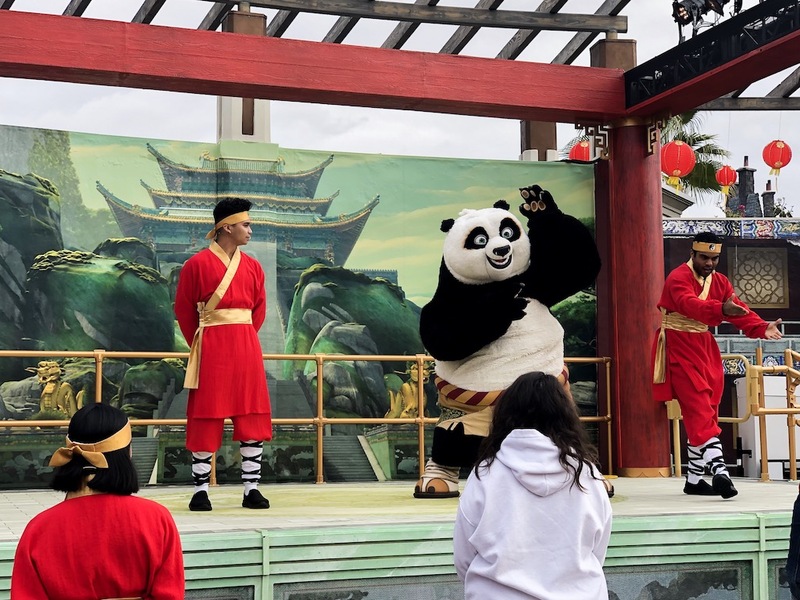 The Jade Palace Performance Stage from DreamWorks’ Kung Fu Panda will be the focal point for all performances, including the Dragon Warrior Training Show with Master Po and friends. 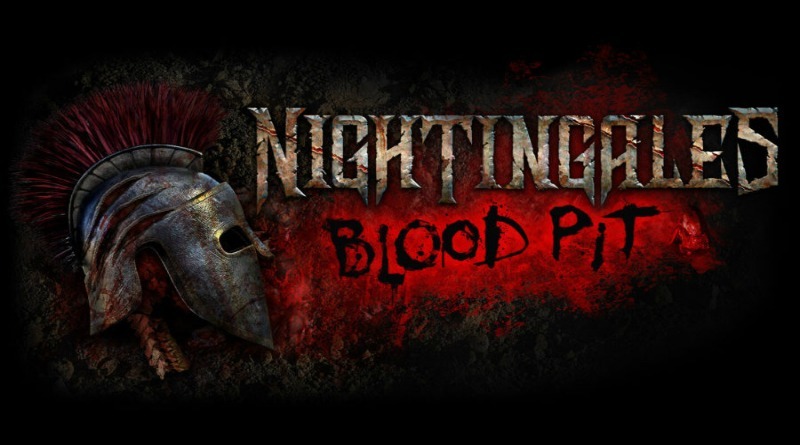 Guests of all ages are invited to participate in this interactive martial arts demonstration. 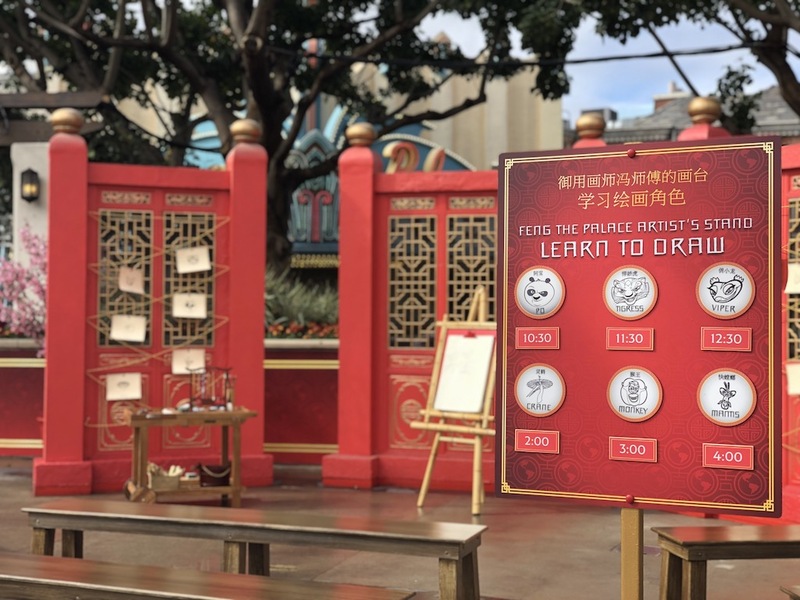 Along with the Dragon Warrior Training Show there is also a show that tells the story of Lunar New Year. 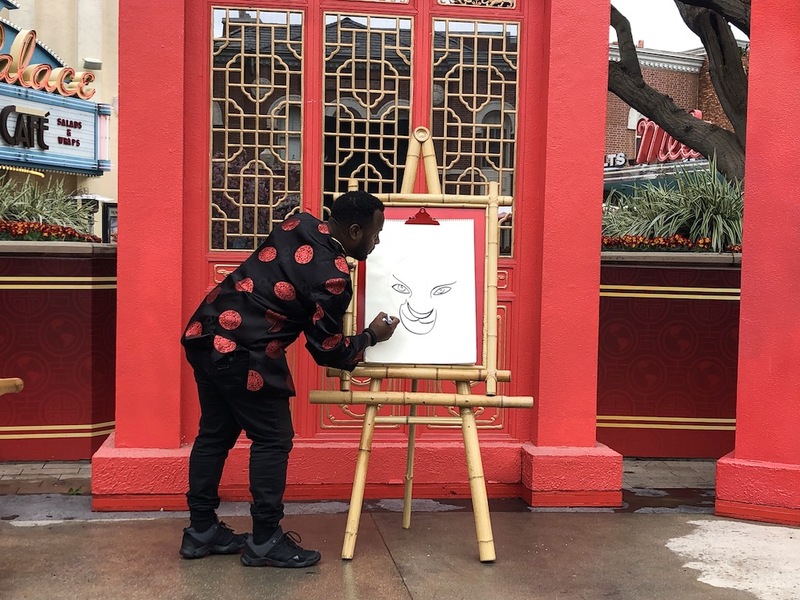 Like the unique performances, exclusive meet and greet opportunities can be found around the Lunar New Year festivities. 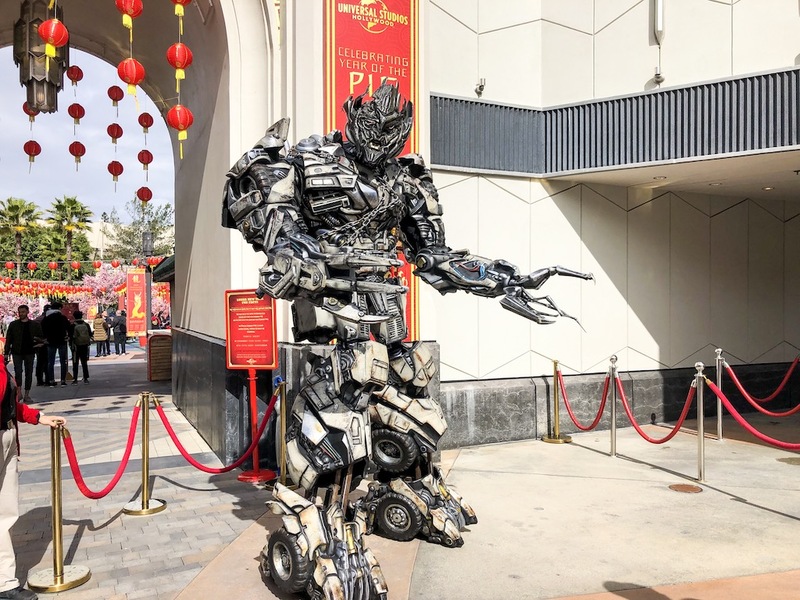 Continuing with Universal Studios Hollywood’s tradition, Transformer’s MEGATRON — leader of the DECEPTICONS — can be found at the entry of Universal Plaza. 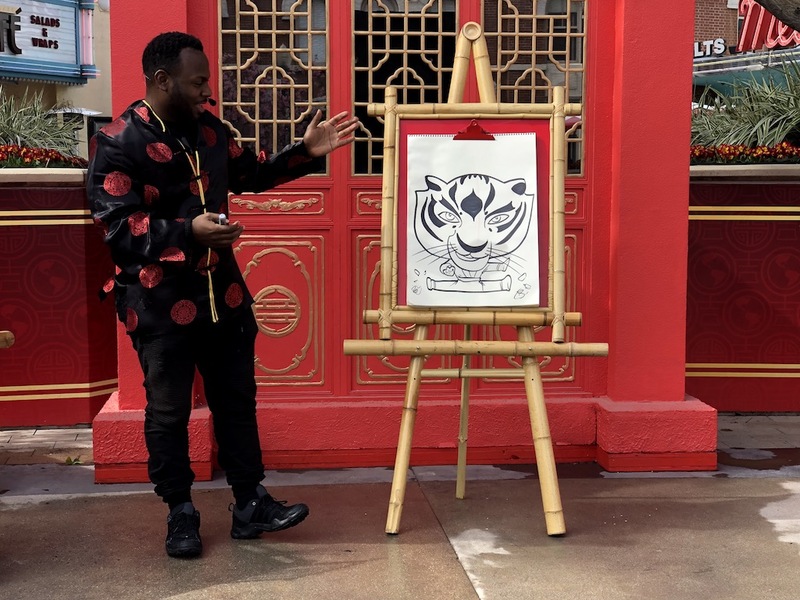 During the Lunar New Year, MEGATRON interacts with guests in Mandarin. 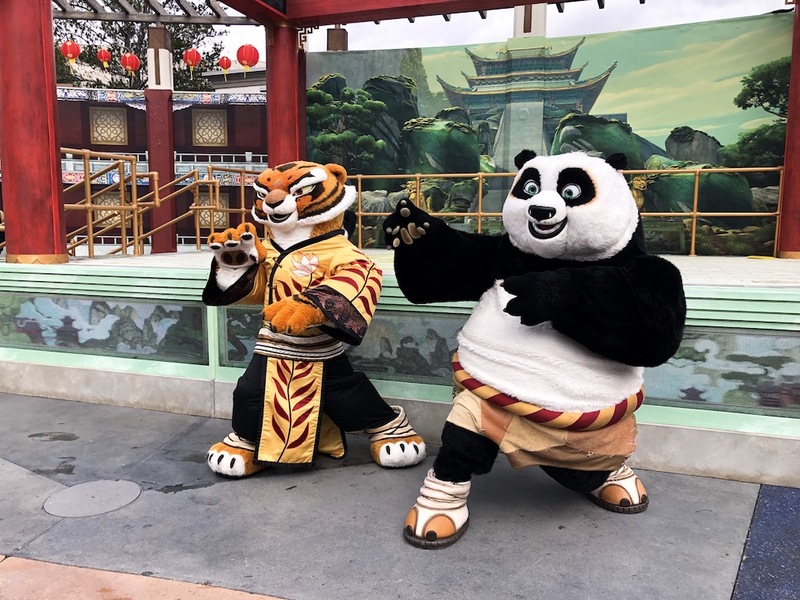 Within the plaza Po and Tigress can be found by the The Jade Palace Performance Stage for exclusive photos. 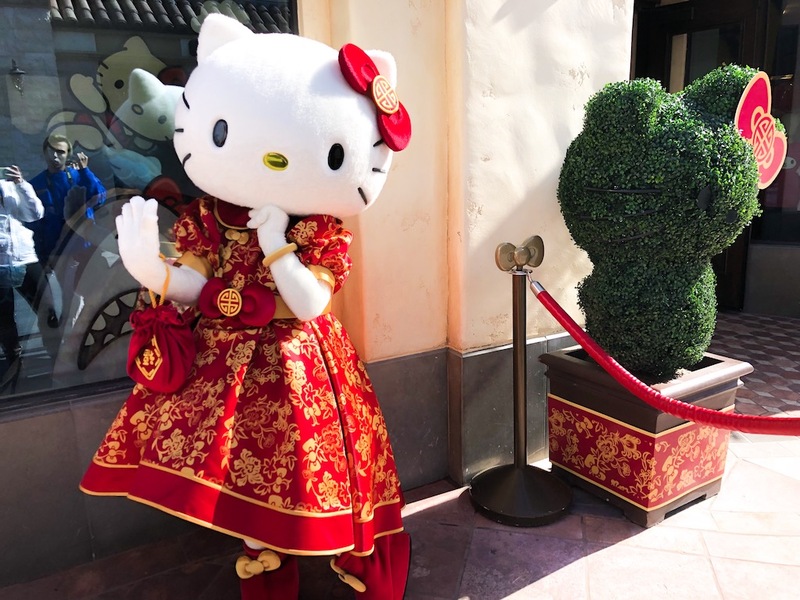 Global pop icon Hello Kitty and Minions are adorned in custom designed Lunar New Year attire. 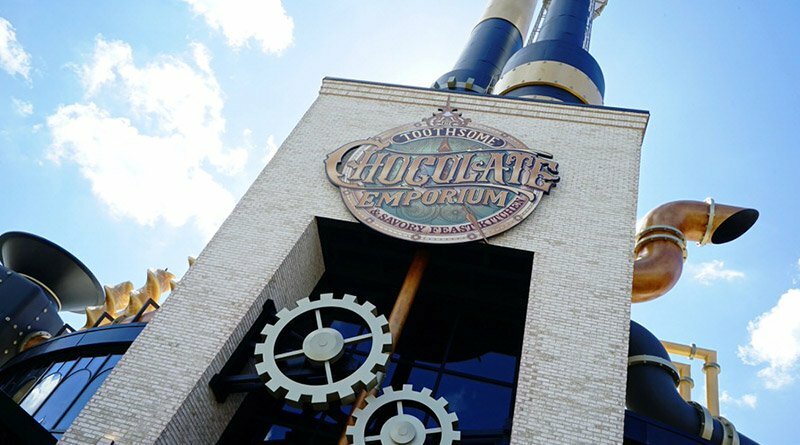 Photo Opportunities with Hello Kitty can be found within the new Animation Studio Store. 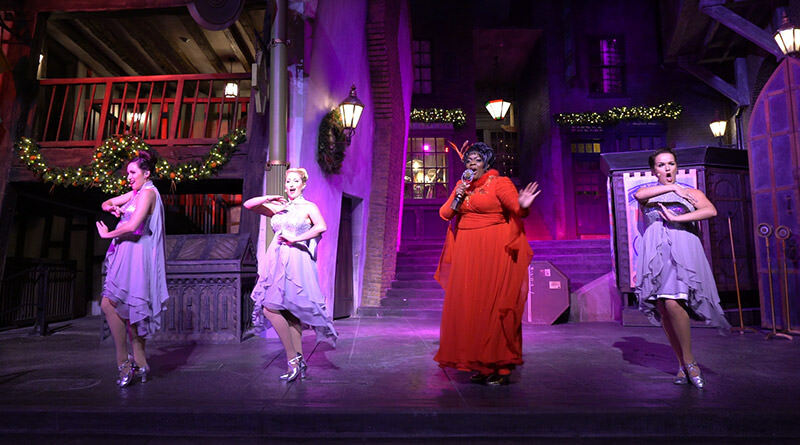 She is dressed for the occasion with a beautiful red and gold dress and finishes off her look with an iconic accessory — a red bow. 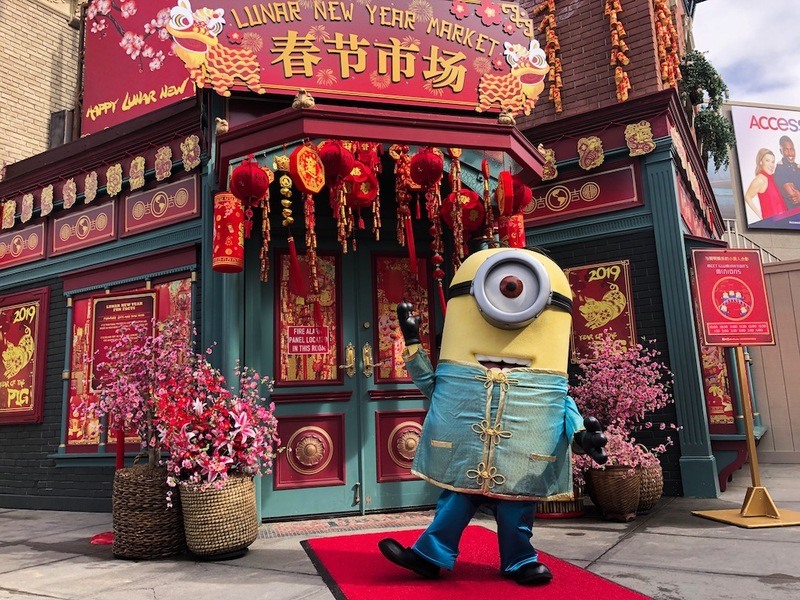 Across from the Animation Studio Store, the Minions from the popular Despicable Me movies are dressed up in brightly colored traditional Lunar New Year attire. 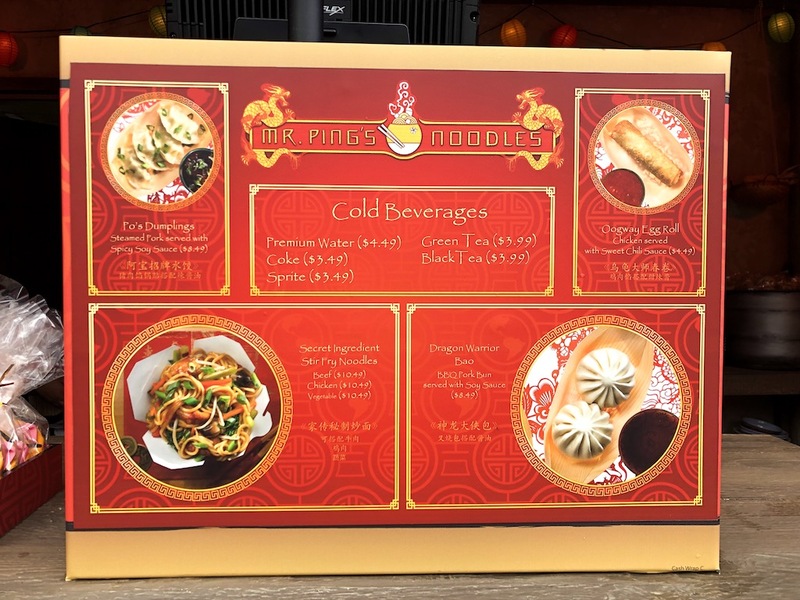 Going to an event like this cannot be complete without exclusive food items. 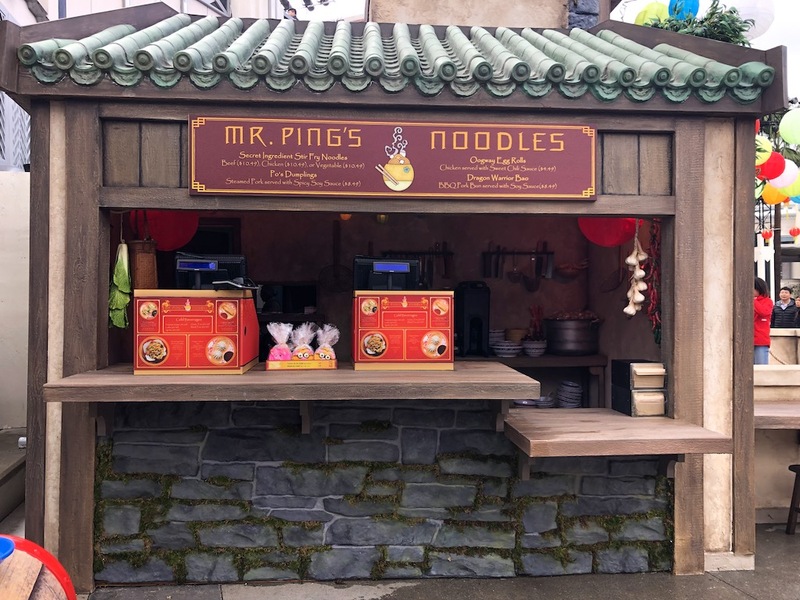 Back by popular demand is Mr. Ping’s Noodle Shop, where guests can find culturally-themed food like Po’s Dumplings, Dragon Warrior Bao, Oogway Eggrolls, and Secret Ingredient Stir Fry Noodles. 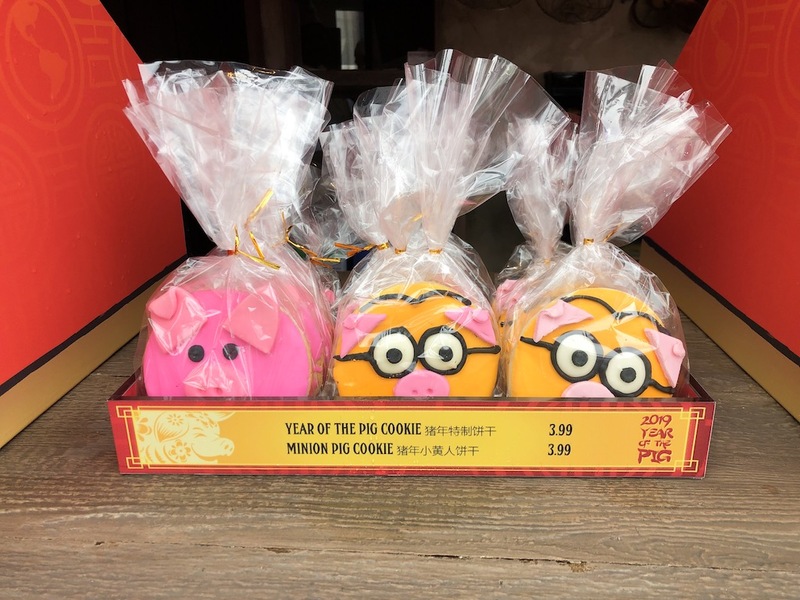 Some exclusive themed cookies can be found at Mr. Ping’s Noodle Shop like the Year-of-the-Pig-shaped cookie and a mischievous Minion pig cookie. 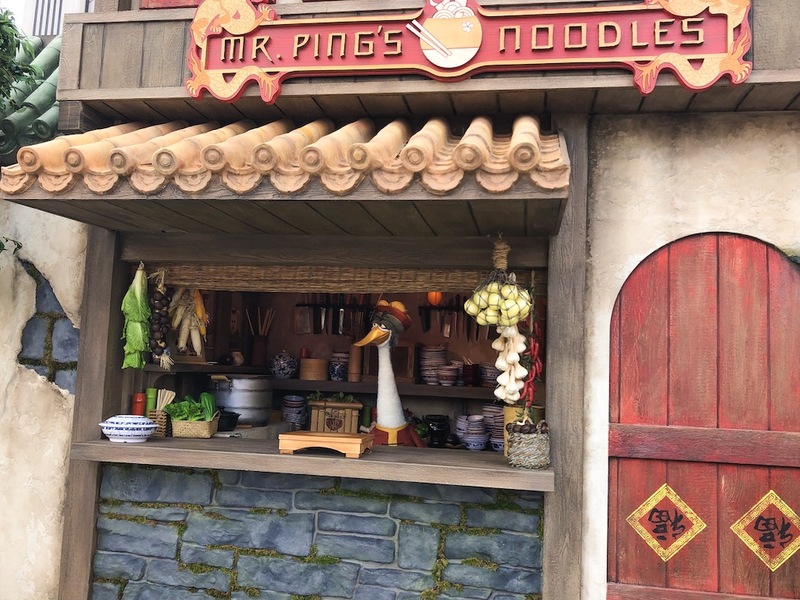 Off to the side of the the noodle shop, Mr. Ping himself can be found interacting with guests. 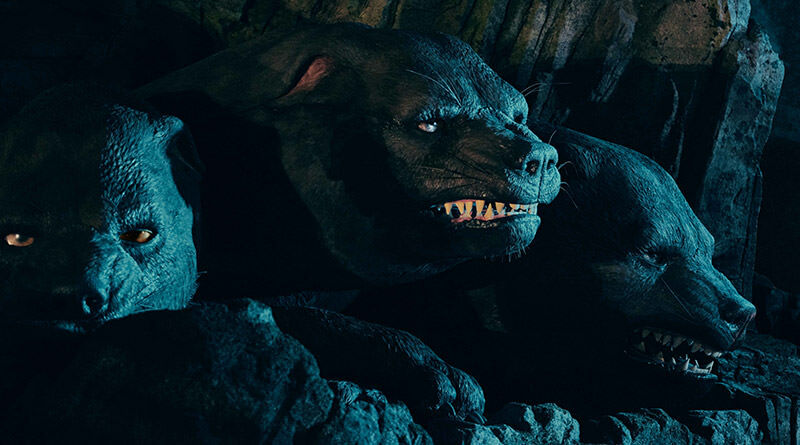 Some other experiences that are offered around the park are the theme park’s signature Studio Tour and the one of a kind VIP Experience, which are all offered in Mandarin for a limited time. 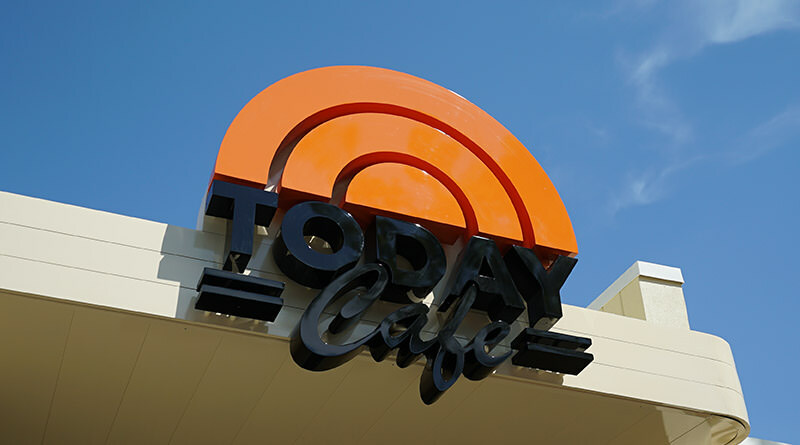 This behind the scenes tour shows guests how movies are made while getting an up close and personal look at sound stages and movie sets. 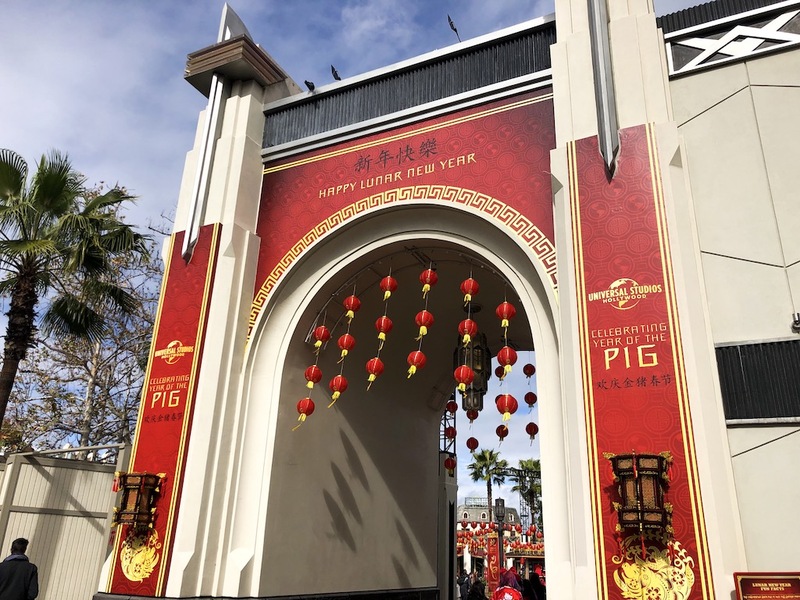 Guests can check out the Lunar New Year celebration from now until February 18th.